In P5/6, we learn mental maths strategies through Big Maths. 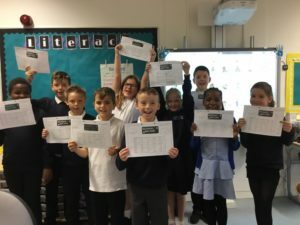 At the end of each week, pupils take part in Big Maths Beat That. They have a timed quiz, and they strive to beat their score from the previous week. We take a photo of all those who beat their scores.